Nissan will build new models at its Sunderland plant in the UK. LONDON -- UK car production reached a 17-year high last year, but the country's vote to leave the European Union contributed to a 33 percent drop in investment in the sector, the Society of Motor Manufacturers and Traders (SMMT) said. Britain built 1.72 million vehicles in 2016, the SMMT said in a statement. The increase of 8.5 percent lifted output to its highest since 1999 and the third-highest since the 1970s. However, the SMMT said that investment in the sector, which tends to make decisions about future production two to three years before a model rolls off the production line, fell by a third to 1.66 billion pounds ($2.1 billion). "We do see companies at least delaying decisions until there is greater certainty," SMMT CEO Mike Hawes told reporters. Automakers had lobbied hard against Brexit, saying that it could result in the imposition of export tariffs that would make UK plants uncompetitive. Carmakers such as Nissan, Toyota, Jaguar Land Rover, Mini, Rolls-Royce and Bentley sell much of their UK production abroad, and the EU accounted for more than half of overall UK car exports in 2016. Among the UK car industry's concerns is the requirement of many free-trade deals between countries and blocs for more than 50 percent of components in a car to be made locally. Britain currently averages 41 percent. "It would be very hard to overcome that level of additional cost, given that plants operate on wafer-thin margins," Hawes said, adding that carmakers generally make only a 2-4 percent return on investment. "We want trade deals, but they must be the right deals, not rushed deals. 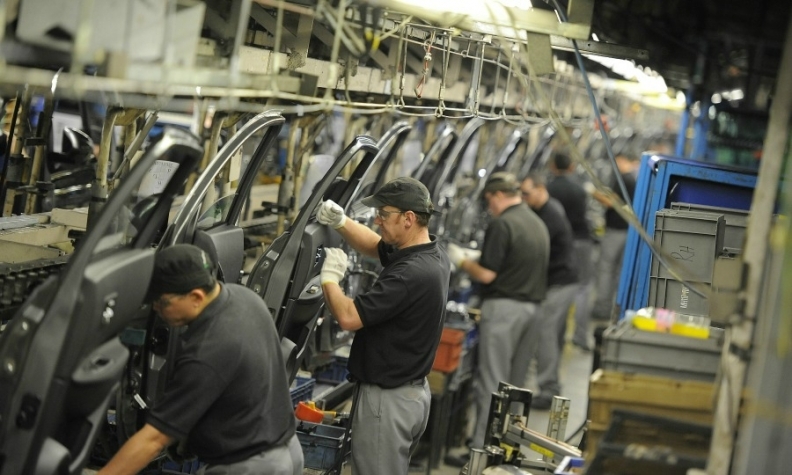 Failure to do so could damage UK automotive manufacturing beyond repair," he said. Prime Minister Theresa May said last week that Britain would leave the EU single market, which guarantees unfettered trade on the continent, but suggested that the car industry may be able to retain elements of free trade under a bespoke Brexit deal. Nissan said in October that it would build the next Qashqai and X-Trail at its Sunderland plant in northeast England. A source told Reuters that the decision had been made after a government pledge for extra support to counter any loss of competitiveness caused by Britain leaving the EU, though a spokesman for the Prime Minister said that no explicit promises had been made on compensation for tariffs. There may be opportunities should the country secure free-trade arrangements with non-EU countries. According to the manufacturers' group, the number of UK-made cars sent to the U.S. grew by nearly half in 2016, accounting for 15 percent of all auto exports. Sales to Turkey, Japan and Canada also received a boost, while China lagged, growing by just 3 percent. JLR could benefit from May's newly unveiled industrial strategy, which pledged money for the development of electric cars. The company has said it wants to build such vehicles in the UK if the government makes infrastructure upgrades.